Zooble Technologies can offer businesses large and small a complete, bespoke IT Support and Maintenance package to suit your business needs exactly. All Zooble IT Support contracts are fixed costs with no hidden charges - our agreed annual fee is all you'll pay, no matter how many times we're called on-site! 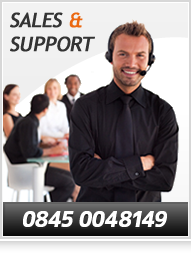 For professional Rotherham IT support that costs less than you might think, contact us now to discuss your requirements, and let us resolve your IT support and maintenance issues by providing you with a single point of contact for ALL your IT issues!